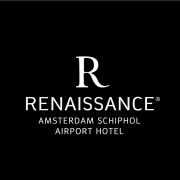 Our Renaissance B&F Operational Trainee will be immersed in a one of kind learning experience: Opening of a Hotel. This is an all-around position that will provide direct operational support to all Beverage & Food venues. The main goal being to ensure a smooth operation of the Restaurant “Signature”, Bar “Bloom”, Meeting Rooms and In Room Dining. Our successful B&F Operational Trainee is able to work with the team in an inspiring and enthusiastic way. You are an example in the finishing touch for the B&F venues, and in putting the guest at ease with a natural way of serving and sharing your story about unique local discoveries.